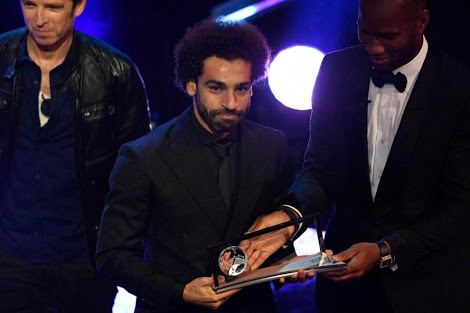 The Federation of International Football Association, FIFA hosted their best footballers award tonight and Croatian midfielder and Real Madrid ace, Luka Modric and Egyptian and Liverpool playmaker, M Salah were on point today as both won big tonight. 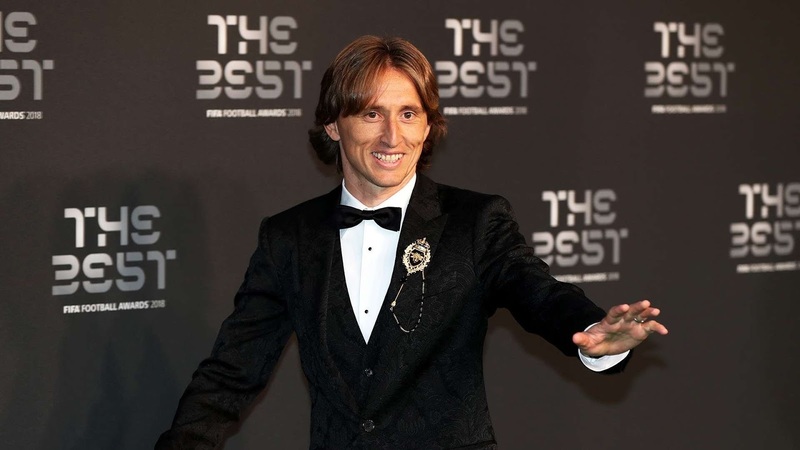 Luka Modrić has been crowned the world's best player at Fifa's The Best awards. The 33-year-old was the favourite going into Monday’s ceremony in London, ahead of former team mate Cristiano Ronaldo and Mohamed Salah. The Blancos maestro claimed the award at a star-studded ceremony this evening, with Nigeria's Billionaires, Otedola and Dangote in attendance, after what’s been a superb year for the ex-Tottenham man. Modric fought off competition from fellow nominees Cristiano Ronaldo and Mohamed Salah. "This trophy is not just mine, it’s for all my Real Madrid team-mates, for all my team-mates from the Croatia national team, for all the coaches that I have played for," Modric stated upon receiving the award. "Without them, this would not be possible and thank you a lot to them. "This trophy is also for my family, without whom I would not be the player and person that I am. They are my ‘the best’. "At this particular moment, I would like to mention my footballing idol [Zvonimir Boban] and captain of Croatia generation 1998 and their first participation [at the World Cup finals as Croatia] and bronze in France. "He was my big inspiration and that team gave us belief that we could achieve something great in Russia. Hopefully we can be the same for next generations. 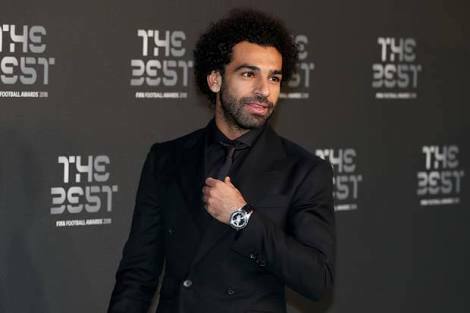 Liverpool star Salah was nominated after a remarkable year that saw him score 44 goals in 52 games in his debut season with the Reds, after arriving from Roma in June 2017. The Egyptian icon came up against both Modric and Ronaldo in last seasons Champions League final but was forced off early after suffering a shoulder injury in a coming together with Sergio Ramos. He recovered in time to represent his country at the World Cup in Russia, but was unable to guide them past the group stage. The Egyptian was rewarded with a Puskas award tonight. Salah's goal in Liverpool's Premier League clash against Everton was voted the best goal from last season. Mohamed Salah has beaten Gareth Bale and Cristiano Ronaldo to the 2018 Puskas Award with his strike against Everton last December.